At a conference I recently attended, I was given this headset to try out. After my recent stroke and history of migraines I usually hate in ear buds, or headsets because they never seem comfortable or the noise sets me off. I was willing to give this headset a fresh new try when I heard that the company that makes them also owned a company that made hearing aids. It made me feel that they really understand the ear, sound and how it all works together. It is somewhat closer to an ear bud in design for use with a mobile phone and Bluetooth connection. And, as with an ear bud, there are several ear holder comfort designs that all felt good and did the job. 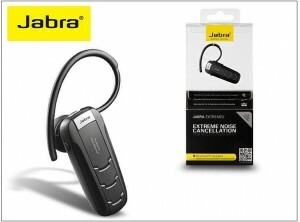 But, aside from the design and utility, what sets this Jabra style apart is that the kit also contains a USB connection for recharging with a computer, a dual USB car charger and the regular wall plug-in. So in fact, it can be bought in the morning plugged in and by lunch be fully charged to use at work or on the way home. Read the instruction about all the equipment. The dual USB connection has one slot for 2.1 Amp and the other at 1.0 Amp, you’ll want to make sure you‘re in the faster recharge slot. It can also be used to charge accessories just check the recharge requirements for whatever you use. The Noise Blackout 3.0 dual microphone is great for the beach; I used it outside, called home and got a list of errands to do. It appears to work better than I thought. No help here to get off the phone quickly. An interesting Bluetooth connection add-on are the speakers for use outdoors. It is enclosed in a special pad that permits full sound through but no water or sand. Test it yourself, open the bag and listen to the music as you place the speaker inside. I detected no noticeable change in quality or sound. Go on to the website at Jabra.com and check out all the company has to offer. For most people, they above would be enough information but for me a little more is in order. What I really appreciate is the noise cancellation. The “cacophony” of sound that can result in actual pain is lowered. Being on the phone now with it held slightly off my ear seems to allow a lot of extra noise in, this is much less, also speaking into the microphone picks up my voice predominately and kind of lowers the other sounds. So it is clearer on my side and the other of the conversation. This was heaven sent. It was so great to actually be able to focus on the conversation I was having and the person I was talking to instead of being distracted. Also following the easy set-up instructions, the Bluetooth aspect to answering the phone keeps my hands free and the small size can be covered by my hairline. I wear it when appropriate and sometimes when it is late, I like talking to a friend on the way to the parking lot. Just remember to charge the unit before doing anything.In my case it took almost 3 hours before the indicator light turned full green. Is this a good device to use when you want to sleep and need to block any outside noise? What I still cant tell with the headsets is whether they need a hearing loop like my hearing aids do?